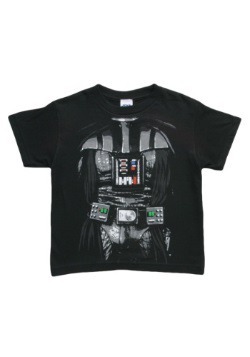 Darth Vader time anyone? 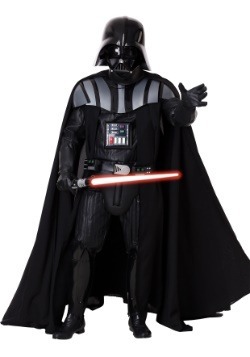 Sure, suiting up as the ultimate villain in the galaxy, the dark lord of the Sith and right hand man to the evil Emperor sure sounds like an easy proposition, but let us tell you from experience, it's hard work. 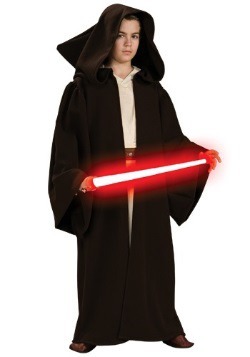 (It also puts you in danger of falling to the Dark Side of the force, but that's really only something you should worry about if you're a Jedi). Anyway! It is totally worth the effort! 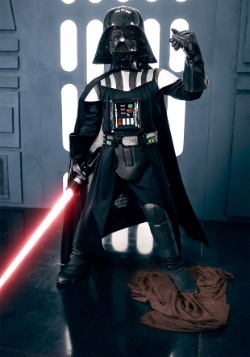 Using a costume to transform into the iconic character is only half the journey, the other part is making sure that your costume experience is the best it can be and extra wicked, like a good Sith should be. 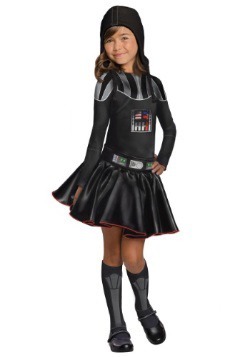 And that whole Dark Side thing is exactly what we're here for. 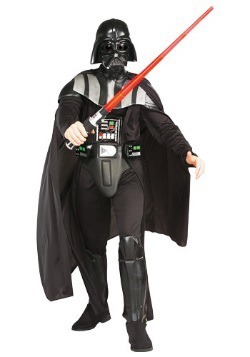 You've already checked out all of our Darth Vader costumes for adults, and now that you're at the bottom of the page, let us hit you with some serious Sith advice! 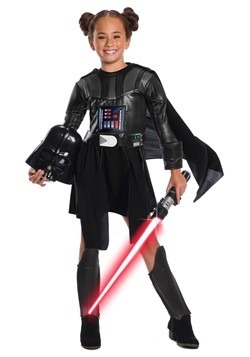 Choosing the right Vader costume is only half the adventure, and while we can't teach you how to do a force choke or deflect laser bolts with your lightsaber, we can make sure that you have a tip-top time with all of the best Star Wars costume accessories. 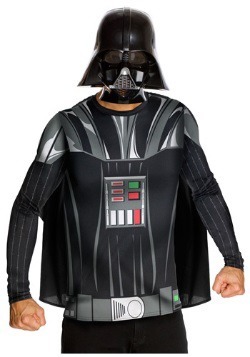 We also have tons of fun gear that will let you have an entire Vader themed Halloween; costumes to get a lady friend in on the Sith action, and even one for ol' Fido (we knew he would give in to his anger sooner or later)! 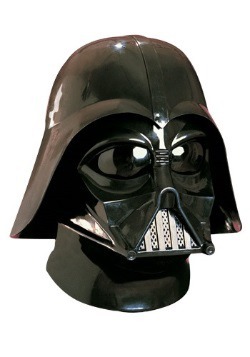 If that's not enough, we have some handy Darth Vader quotes so that you'll be able to walk into the party with confidence. 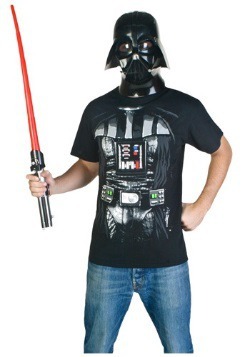 But, you're pretty much the second greatest guy in the galaxy so maybe that's confidence enough. 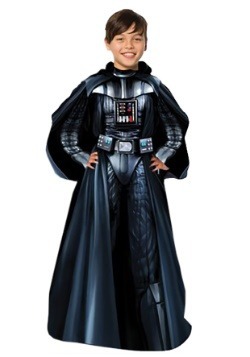 When you're truly ready to progress in your journey just scroll below and absorb these ideas so that you'll be able to fully know the power of the Dark Side! So, you did it. You finally fulfilled your own prophecy. 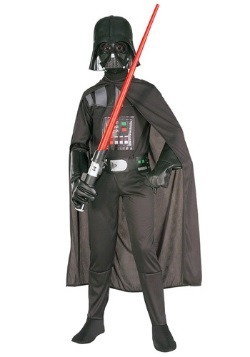 You ordered a Darth Vader costume to wear at your big Coruscant event! 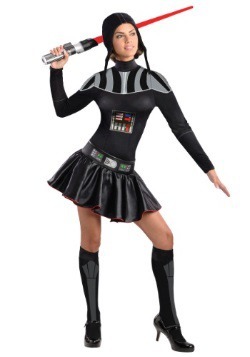 But now that you've got the costume in your hands or maybe it's still on its way (hey, intergalactic shipping takes time! 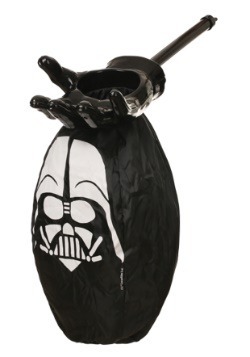 ), the question remains, what can you do to take your Darthdom to a whole other level? 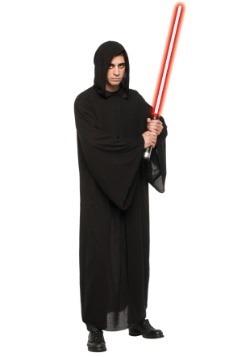 Don't fret, we've been there, done that, and just as surely as lightsabers are suited for slicing off appendages, we're the experts, and we're ready to suggest some sweet accessories to enhance your costume experience. 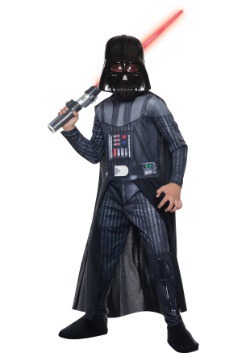 Check out these curated choices for the best and most-popular additions to the iconic Star Wars Darth Vader costume! So, you still have your natural born flesh-covered hands; but that's no reason not to let everyone wonder about which parts of yourself are man and which are machine. 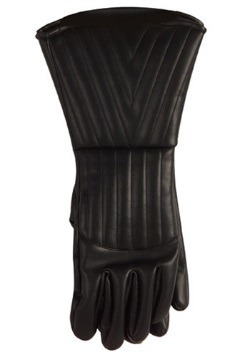 So make sure you have these authentic gloves when you suit up as the ultimate Sith Lord. 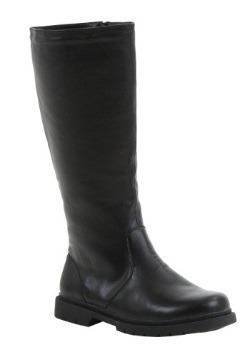 They feature a faux leather finish with thick quilted seams for the movie authentic look. 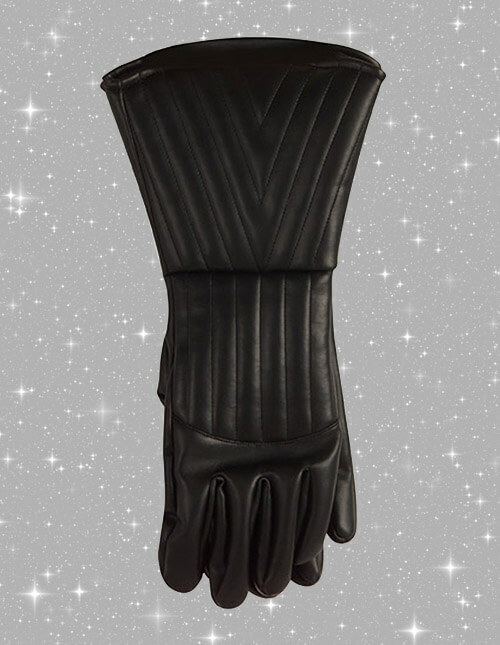 Frankly, when we picture Star Wars fans in a Darth Vader suit, we can't picture them in any other gloves than these! 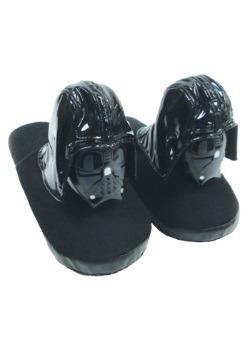 They're pretty iconic, but then again every bit of Vader is. 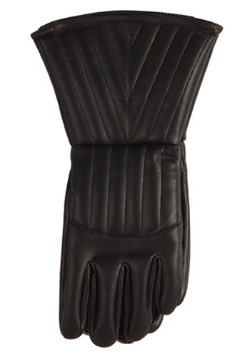 Your force choke gesture just wouldn't look right without these gloves. 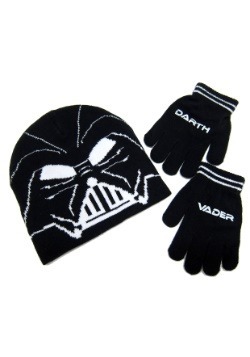 Remember when Vader extended his hand to take care of that bothersome Moff? 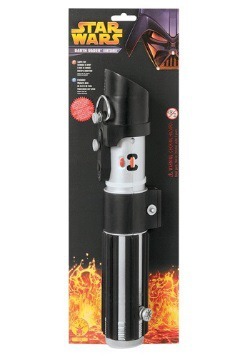 Who could even imagine ol' Darth holding that red lightsaber without thick gloves? 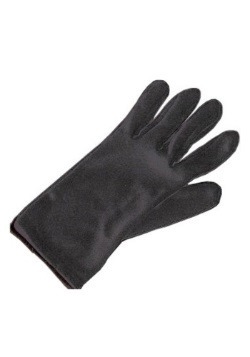 It's part of the mystique. 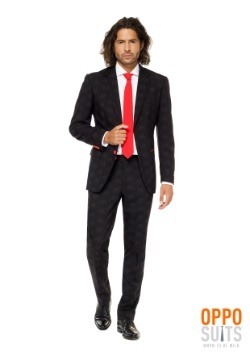 We pay serious attention to the details when we go in costume, and we don't mean to be pushy here, but so should you! 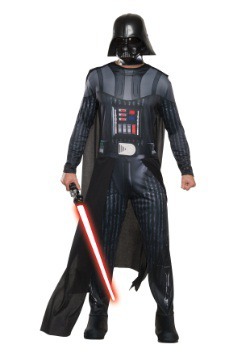 We don't blame you one bit if you don't go for the authentic supreme edition Darth Vader costume, it's a serious commitment. 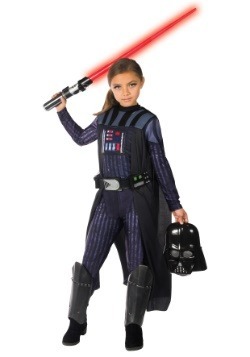 But whether you're choosing your costume look based on price or comfort, there's one place you absolutely do not want to skimp. The mask! 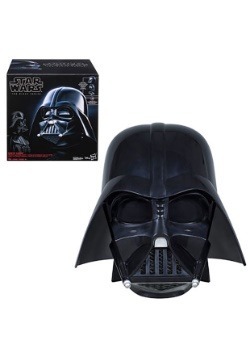 You can add this authentic two piece Vader helmet to any version of his costume for a detailed touch of realism. 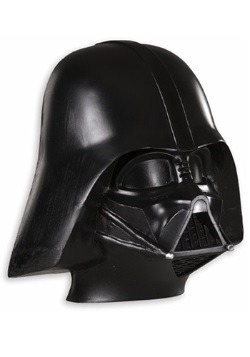 With an injection mold design based off of the original movie prop, and foam strips for fit, you'll have no trouble convincing all your friends (and enemies) that you're the ultimate lord of the Sith. 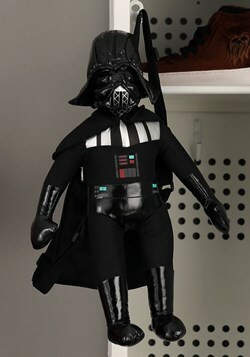 If you don't believe us, just "search your feelings, you know it to be true!" 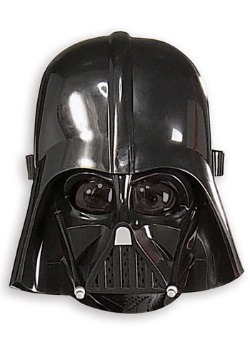 It's the creepy breathing that keeps the Rebels up at night. 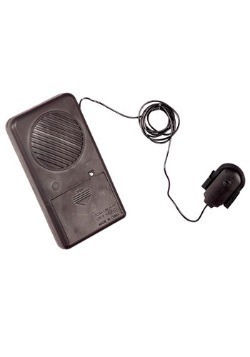 The machine enhanced vocalizations of Lord Vader creates a chilling effect whenever he speaks...but it's his pronounced, raspy, deep breaths that really are the thing of nightmares… especially for Admiral Ackbar and the rest of the Rebellion. 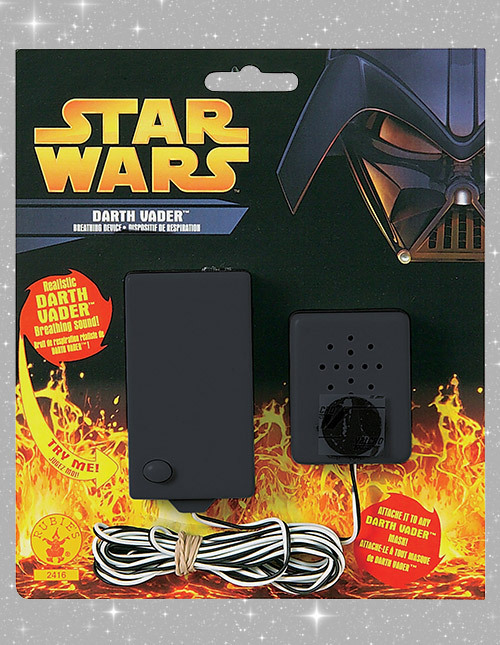 This sound effect device secures to the inside of any Darth Vader mask, and you can run the wire through your costume to control it as desired. 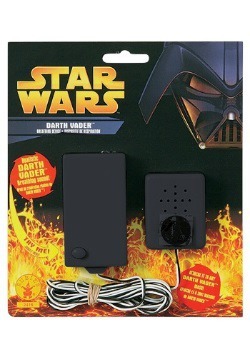 Add this unique accessory to your authentic Darth Vader costume so that you'll have his deep machine-assisted breath effect on lock. 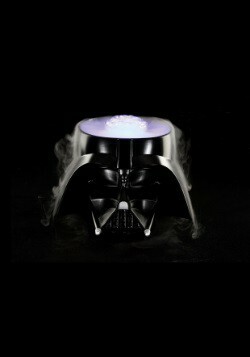 "No, I am your father" just doesn't sound quite right without it! 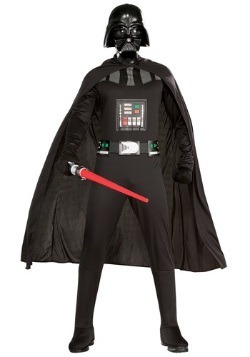 We don't want to limit your Star Wars fun to simply donning the classic suit of Lord Vader. 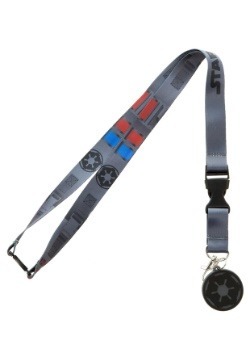 Because there's a whole world of accessories, gadgets, and apparel that will let you have channel some Sith style, with no helmet or breathing effects required! 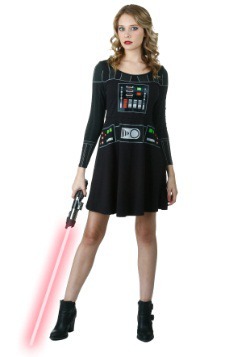 Consider options that will let you add a little Star Wars geektitude to your everyday style or activities, or Halloween essentials to make your Imperial themed party totally official. 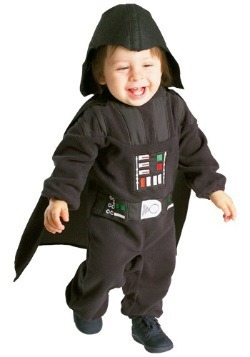 Because when you plan your event with the approval of Emperor Palpatine, we're sure he'll be pleased. 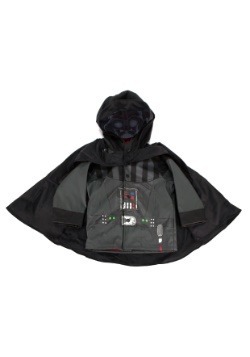 Your journey towards the dark side will be complete! 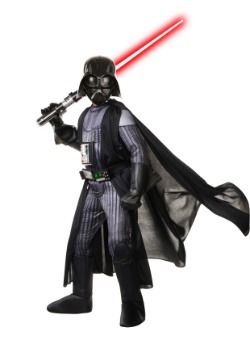 You don't need a James Earl Jones voice to play Darth Vader, and there's no reason you have to be a guy either! 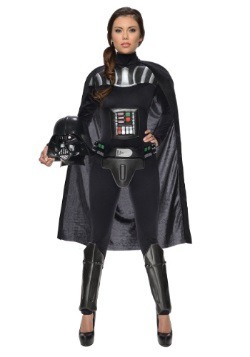 But maybe female fans deserve a look that's just a little more flattering for their curves...like this Vader bodysuit for women! 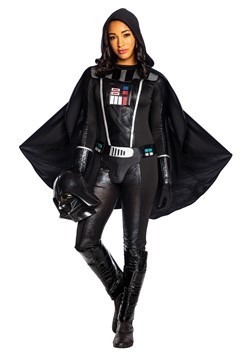 A spandex and polyester blend is going to be way more comfortable than wearing all that clunky armor, and if you glam up the look with heels, we don't think you're going to have any difficulty seducing others to the dark side! 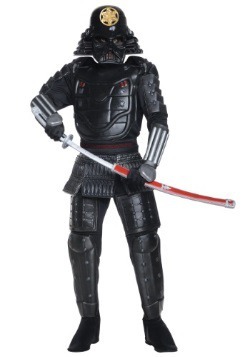 Use the polyfoam armor covers to make it look like you're ready for battle, and practice your force choke holds while you pose for Instagram. 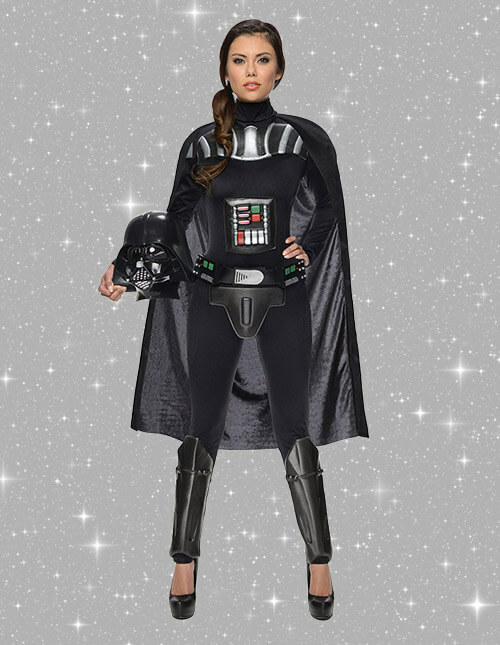 With this look, you could even pair up with a partner in a classic Vader costume to become the ultimate Mr. and Mrs. Vader! 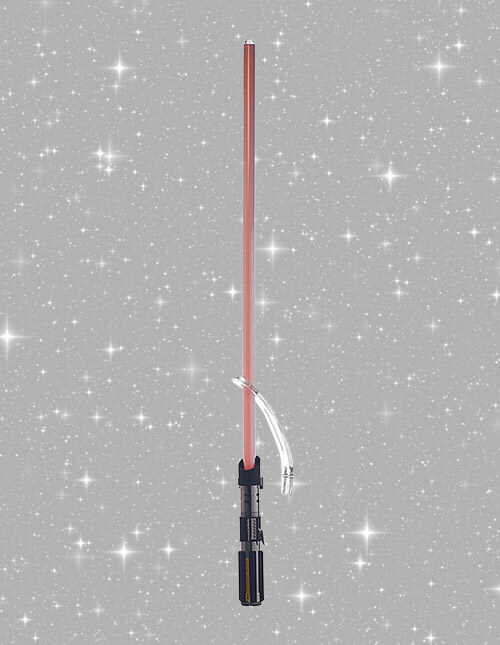 Imagine if there was such a thing… perhaps the galaxy would have been a little nicer for everyone. 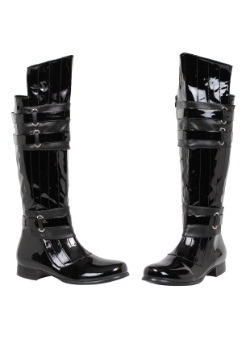 Or worse. 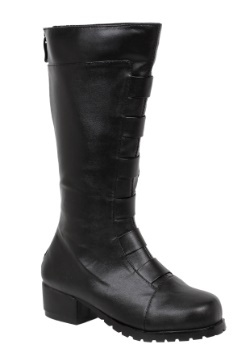 Possibly worse. Genre bending isn't just one of our favorite things...it's our most favorite thing ever! 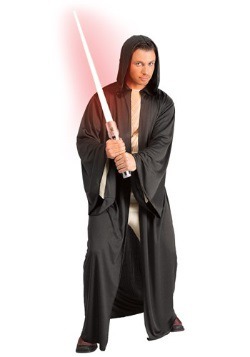 The ultimate mashup costume, this look imagines just what would happen if Sith Lords practiced martial arts with a katana instead of lightsaber dueling! 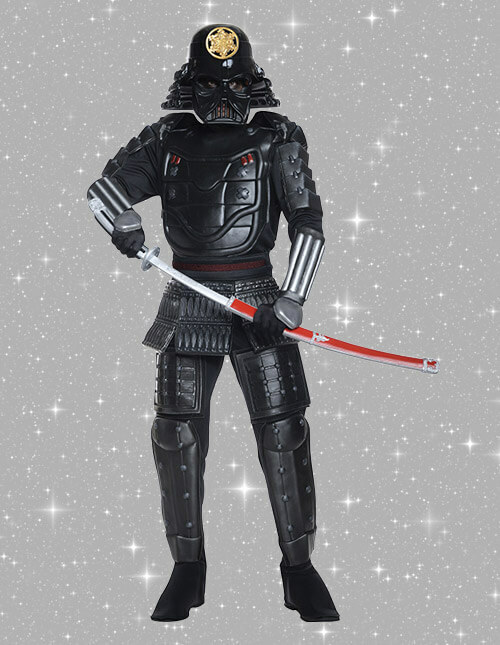 This Samurai Darth Vader costume adds classic Japanese touches to the his infamous helmet, and with dark foam armor pieces, we think this costume would look right at home strolling the halls of the Death Star or walking through a village in feudal Japan. 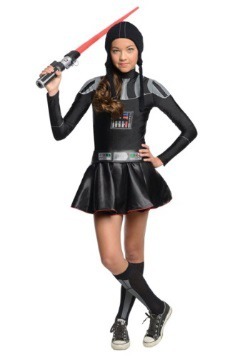 This fun look will and a new and unique twist to your Halloween fun, or you could wear it to the Star Wars comic-con to really shake things up! 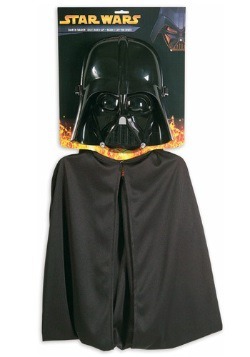 Maybe you've done up your home décor in an Imperial theme year-round, or maybe you're just looking to show off that you're down with the Dark Side this Halloween. The October forecast always calls for pumpkins, so make sure your seasonal décor includes this unique Darth Vader pumpkin. 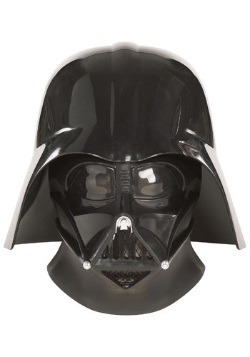 With his iconic mask pre-cut on the décor prop, you'll be able to simply plug it in to show off the eerie power of the Imperial baddie. 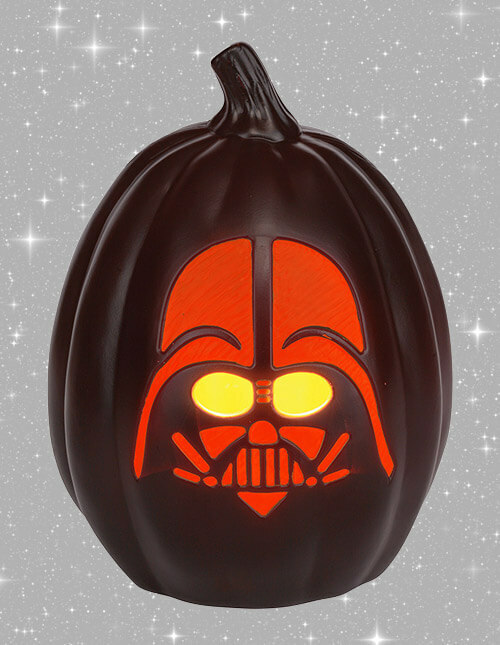 Re-use this pumpkin year after year, so that you'll always be able to show off to the neighborhood that you're down with Darth. 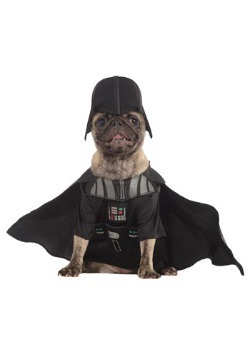 If you don't believe that your dog can rise to become a dark master of the force...well, we find your lack of faith disturbing! Of course, Fido, Rover, or Spot can become the Emperor's right hand man. 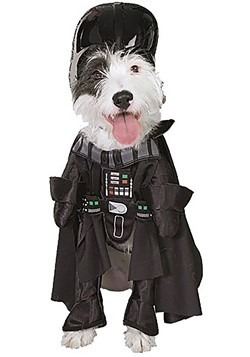 We guess that they'd technically be the "right paw pooch", but when you get your pet into the Star Wars action, you can re-imagine Star Wars in any way you like. 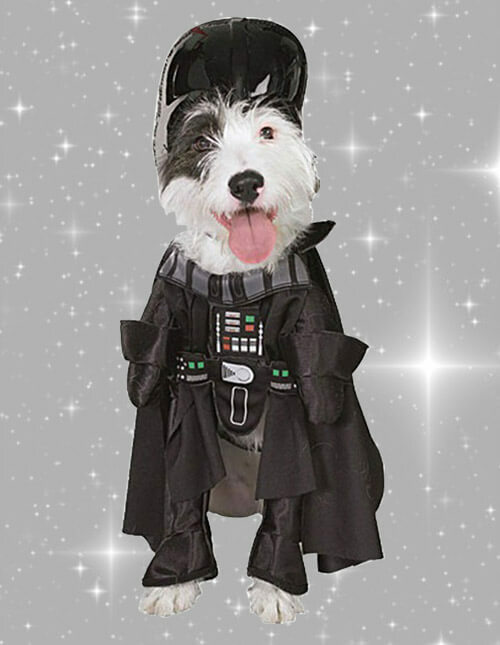 Use this fun costume to complete your family's Star Wars theme, or check out our entire selection of Star Wars costumes for pets to get all of your four legged friends in on the fun from a galaxy far, far away. 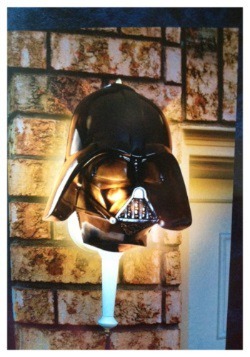 What, oh what, does ol' Darth have cooking in the Death Star kitchen? 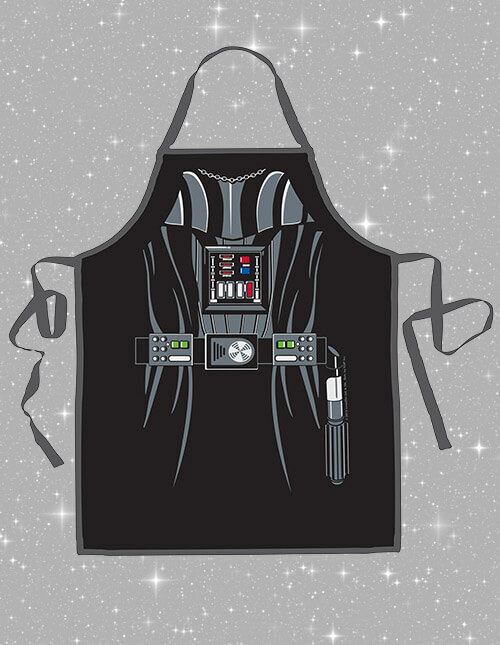 When you wear this Darth Vader character apron, we're sure that all of your flavors will be fully enhanced with the power of the Dark Side! 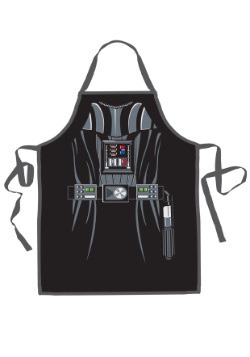 Whether you're busy baking Star Destroyer cookies in the oven or are even grilling up Bantha steaks out on your patio, this unique apron is sure to add some fun to your food prep. 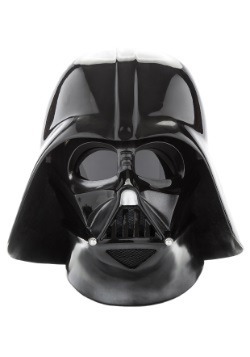 It's printed with the signature costume details from his cybernetic suit, and with the power of the dark side backing you up, we're sure that everyone will enjoy your culinary creations. 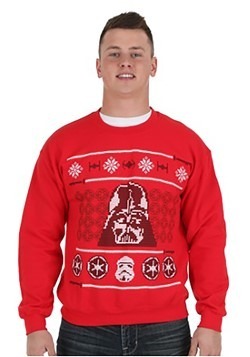 Well, as long as they're not rebel scum. Cause they're not going to be getting a single bite! Actually, they can eat whatever mystery meat the Jawas brought… yeesh! 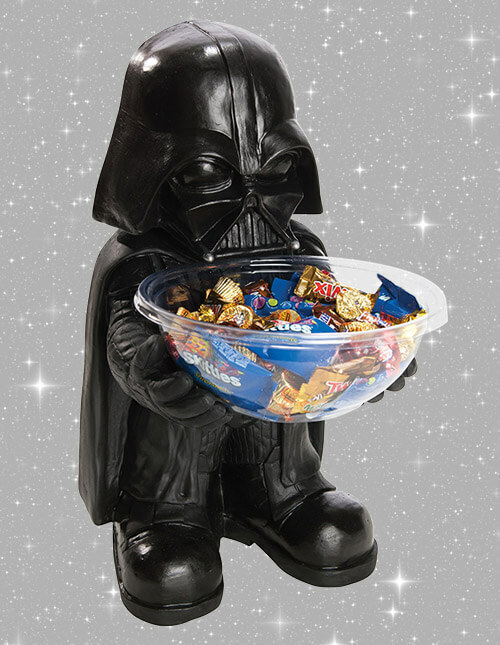 Set the mood right for all of your party guests or trick-or-treaters by using this Darth Vader candy bowl holder to display all of your treats. 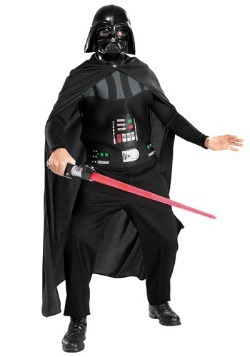 With a cartoonish yet authoritative molded version of the Sith Lord standing at your entrance, you'll be able to offer all the loyal neighborhood subjects delicious chocolate bars and fun-sized candy packs. 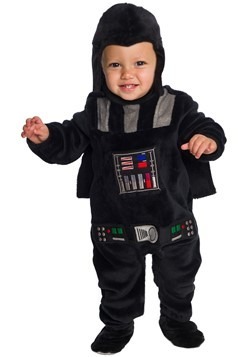 They will have to pledge loyalty to the Empire, of course, but we think that's a small price to pay to have a bag full of candy. 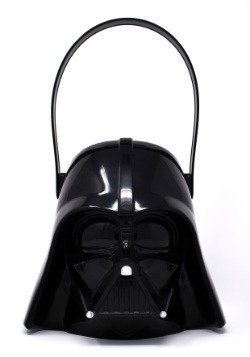 Of course, any bag or bucket of sweet treats is insignificant next to the power of the force, but, we think you'll be converting people to the dark side when you add this practical decoration to your Halloween scene!